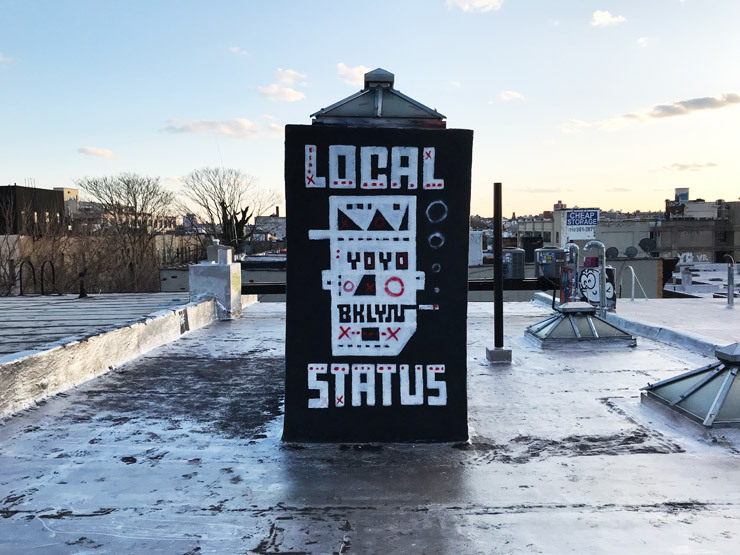 “I had to come back…there’s no other place on this planet that speaks my language,” says Ad Deville, the prodigal son of Bushwick from atop a windy late-winter rooftop, a paint brush in hand. Seems like only a year and a half ago he and twin brother Droo were announcing that Skewville were running from this industrial/residential working-class-turned-avocado-toast-class neighborhood of Brooklyn like two rats scampering off a burning ship. But they aaaallllllllllll come crawling back, Blanche. You know why? Because they know they’ll never have it as good out there as Brooklyn can serve it up here, day after f*cking day. Like the defiant backslider he is, cheeks still red and eyes still puffy from crying so hard, Ad’s only partially sorry for abandoning the Street Art scene that the Skewville brothers helped launch here since the late 90s. Now he’s even making noise about the new tattered headquarters he has in a prime location of this BK armpit. Also he says he has plans, which is rarely a good sign. But for some reason the neighborhood feels whole again. So kill the fatted calf, and crack open a 40 oz. ! 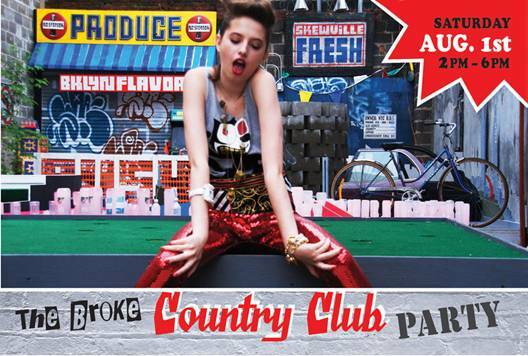 Welcome back Skewville! 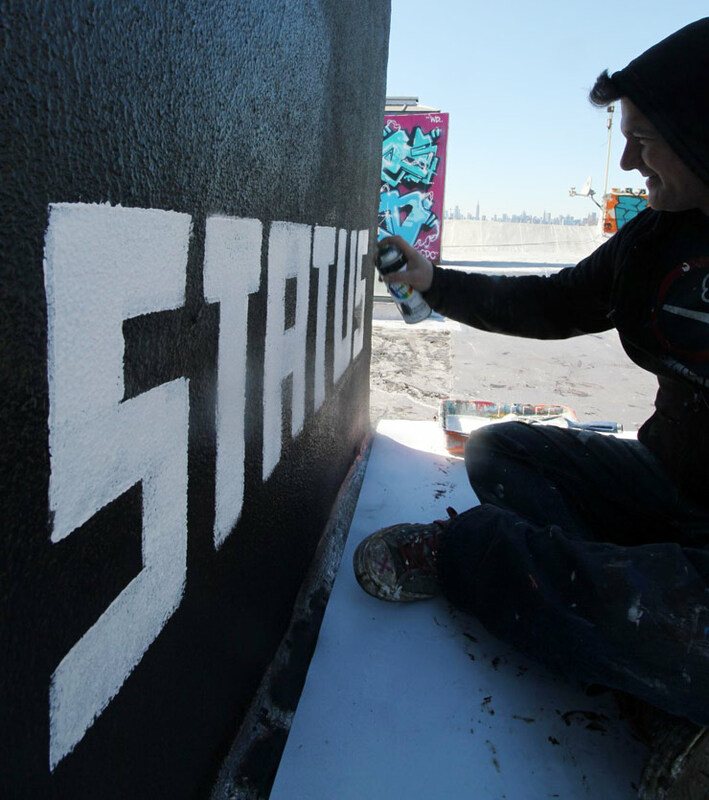 You can catch the local status Skewville this Spring at Moniker International Art Fair in Greenpoint, Brooklyn. 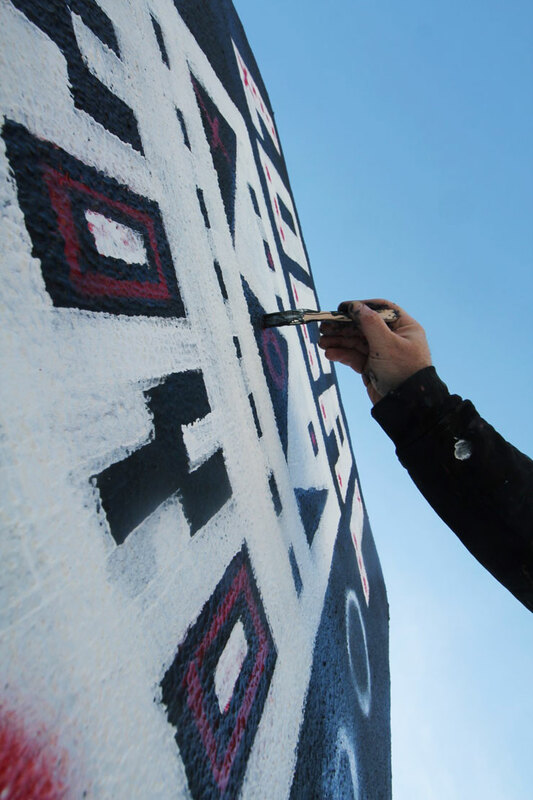 Click HERE for more info on Moniker.